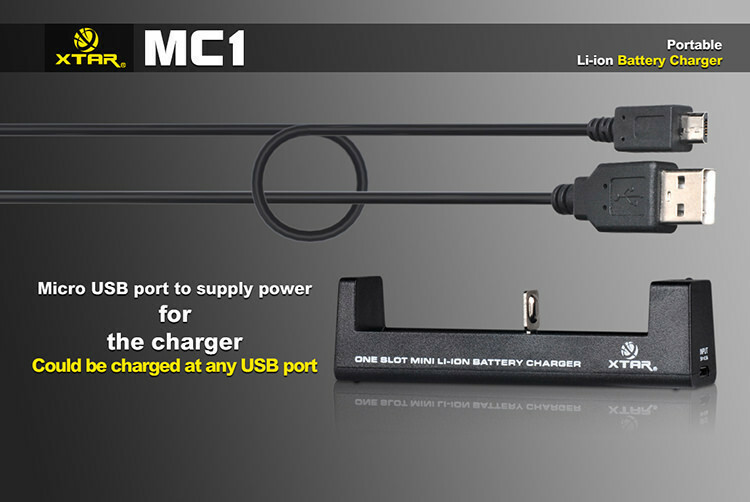 The XTAR MC1 Charger is extremely compact and portable an ideal travel charger, it is such a good charger that you can and should use it as your main charger. 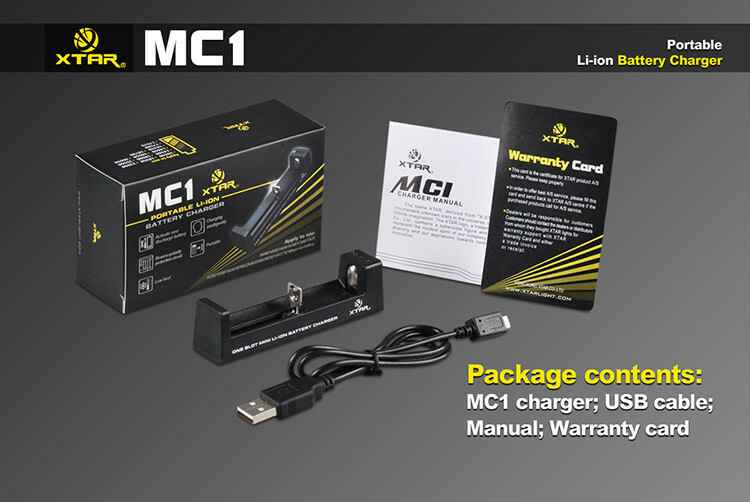 Do not let the cheap price lead you to believe this is not a quality charger. 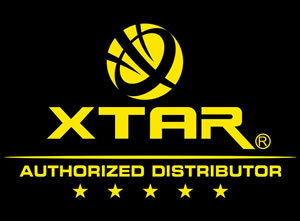 All Xtar chargers are packed with Xtar signature core features and this is no different, 3 stage charging 0v activation, soft start (so is gentle with your batteries). 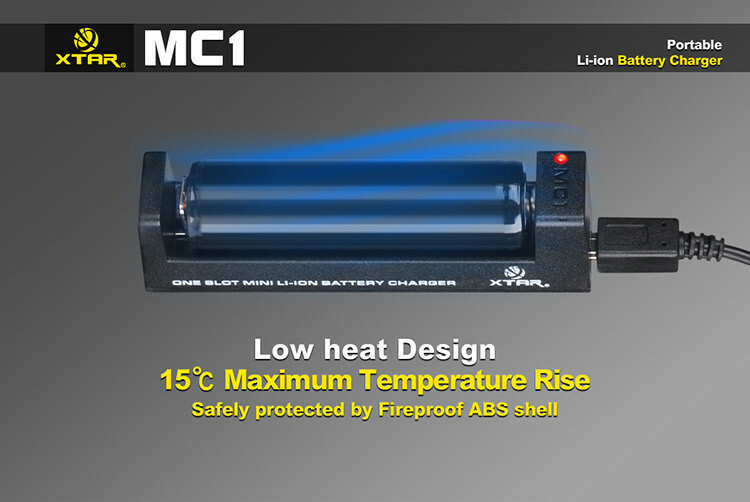 Intelligent charging, constant charge monitoring and constantly adapts the charge current and stage of charge depending on how your battery is charging, IC temperature monitoring prevents the charger heating the batteries up. 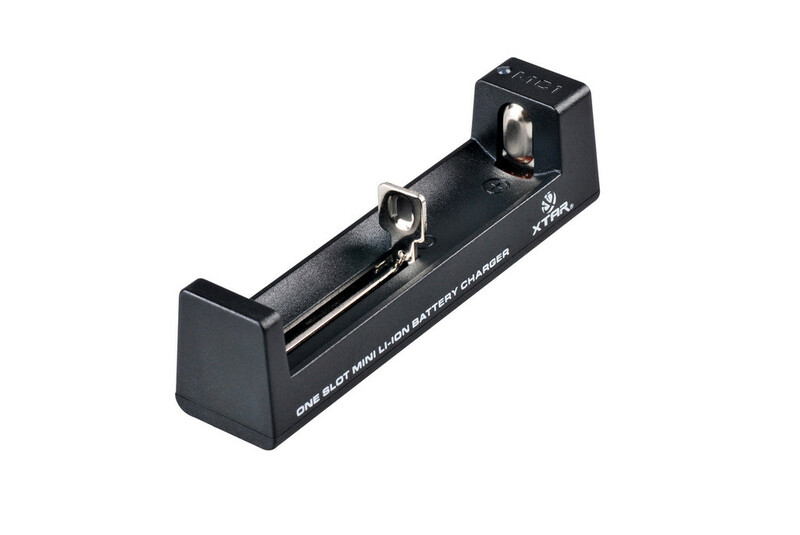 All these feature are here with this little charger. 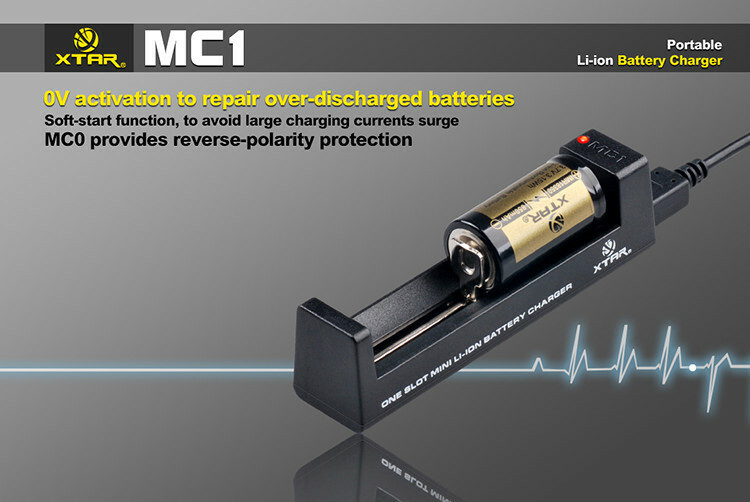 Its versatile, 10440 battery all the way up to 18650 battery and 26650 batteries it will charge. Price, quality, and size is truly unbeatable. 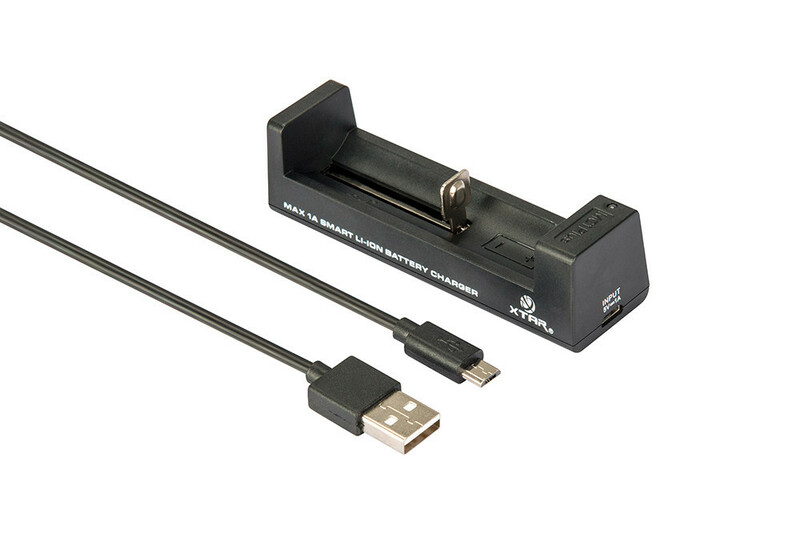 Do not let the low price lead you to believe this is not a quality charger. 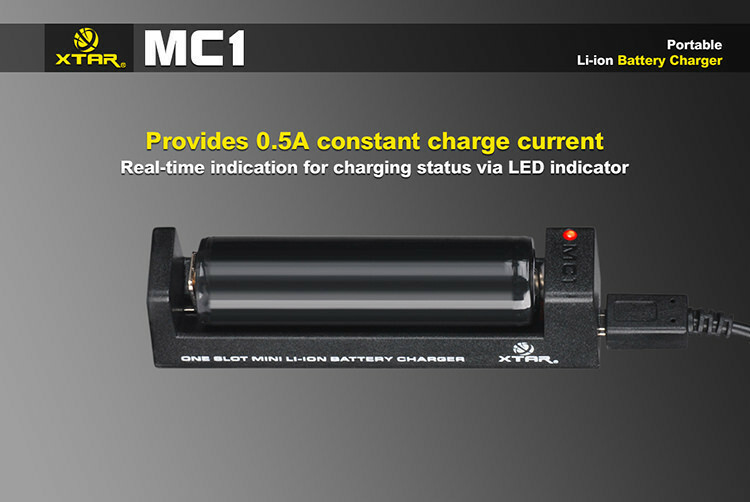 All Xtar chargers are packed with Xtar signature core features and this is no different, 3 stage charging 0v activation, soft start (so is gentle with your batteries). 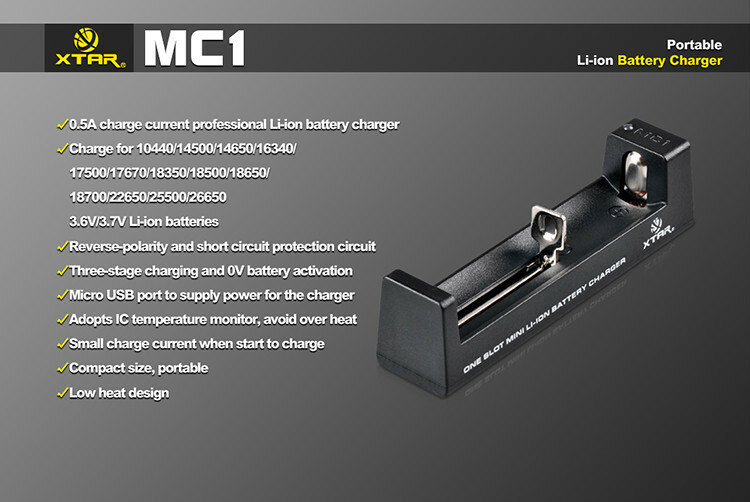 Intelligent charging, constant charge monitoring and constantly adapts the charge current and stage of charge depending on how your battery is charging, IC temperature monitoring prevents the charger heating the batteries up. 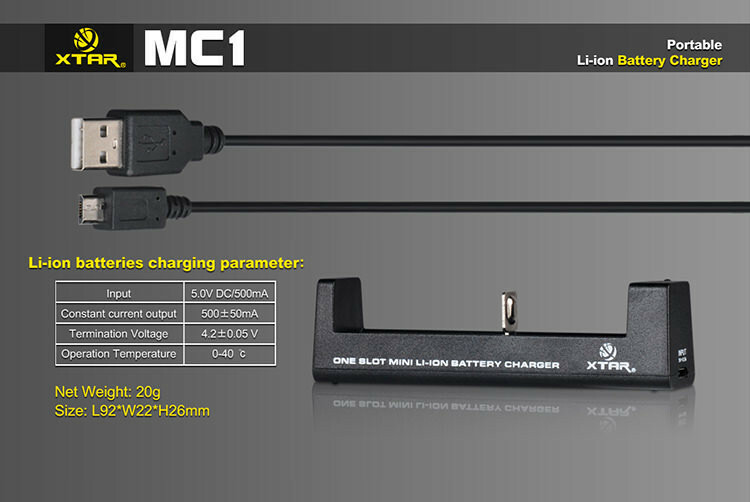 All these feature are here with this little charger. 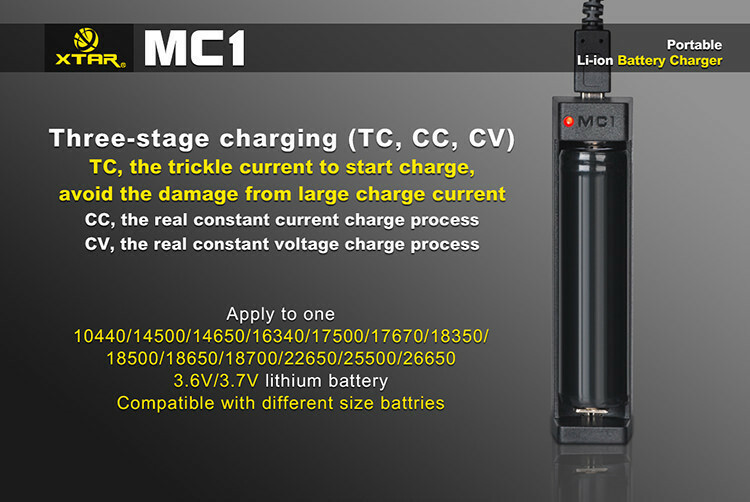 Its versatile, 10440 battery all the way up to 18650 battery and 26650 batteries it will charge. 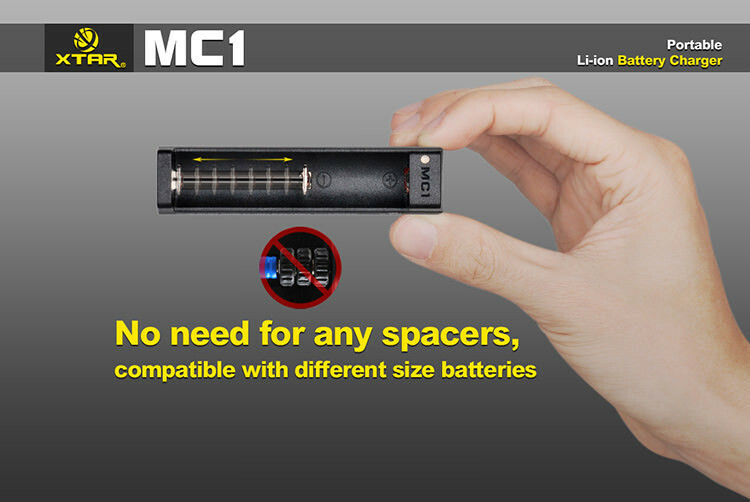 Price, quality, and size is truly unbeatable.